Before I was thrown into this world of cancer, I never would have guessed that social media would become such a big part of my life and ongoing recovery. My first experience with this came very early on after spending days in hospital, following my emergency admission and shock diagnosis. On Facebook, hundreds of messages of support had been pouring in from friends, colleagues, associates, family and other surprising sources. I had been totally unaware of what had been going on.When I first checked Facebook and Twitter I was just blown away having had no idea that so many people cared about me, it was so uplifting and spurred me on to fight harder. Old friends, whom I hadn't had much contact with, had reached out to me. People I didn't know very well passed on their best wishes. People who'd seen my story via a mutual friend's timeline felt compelled to wish me well. A family who lived abroad was able to get in touch. Even now, if I am feeling a little low, I look back over some of these messages to remind myself of all the love and support I had. I particularly like Instagram for raising my spirits as I always find cancer fighters and survivors are really positive and inspiring there. I spent the best part of 6 months in hospital and social media was my only link to the outside world. As I wasn’t allowed many visitors, it helped me keep in touch with people’s lives. I spent a lot of time in isolation so words cannot stress how important this was for me. Also, my sister and mum could keep everyone updated on my progress. I was able to post updates when I was well enough and thank everyone. I have since learned that those who were extremely worried about me found this really comforting.
" Showing these pics has made me appreciate how much you're going through Anna, and how brave and determined you are. You're a true inspiration for others in the same position and you'll be helping them too. Keep going. You have a million prayers sent your way. " People who have seen my story in magazines and newspapers have used Facebook or Twitter to get in touch and thank me for helping them cope. We are able to share our experiences and offer each other support and laughs through the tough times. Over the past year since being in remission I’ve been told my story has inspired and comforted others which is just wonderful and I wouldn’t have been able to reach so many people without social media.
" Anna I just wanted to say that I think you are fantastic. I have been following your journey & reading your blog. Well done for staying so positive through such a roller coaster of a year. I think you are truly inspirational & I'm glad I know you. " As I live in a small town I don't have easy access to support groups where I can meet other blood cancer patients, so social media has become my ‘support group.’ I am a member of a few Facebook groups and run one myself.
" I call the people I met here my friends even though we haven't met - but is the face to face thing crucial to a friendship or just how we've been conditioned to believe it should be? " I know people who've met through social media that travelled miles to meet up and talked of how it was ‘like meeting an old friend’. In many ways this is the modern way of making friends now...it has made the world a smaller place. With social media we can still be involved in each other's busy lives. We can reach a large amount of people in just one post and get support on a tough day. It has also really helped me spread the word about my particular cancer, acute leukemia. I know that because of me a lot more people are aware of its symptoms. This has been a vital part of my recovery - the need to reach people and do something positive. 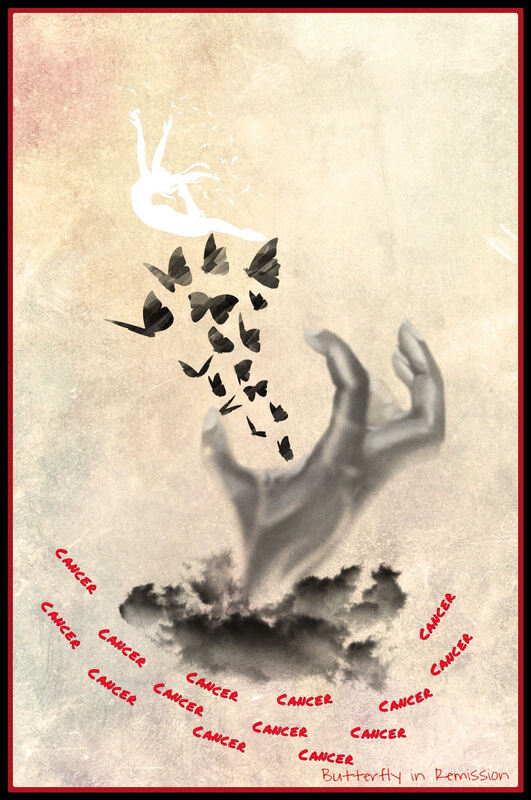 I wanted to share this picture I created to sum up my cancer journey...I love being creative, it's really helped me. 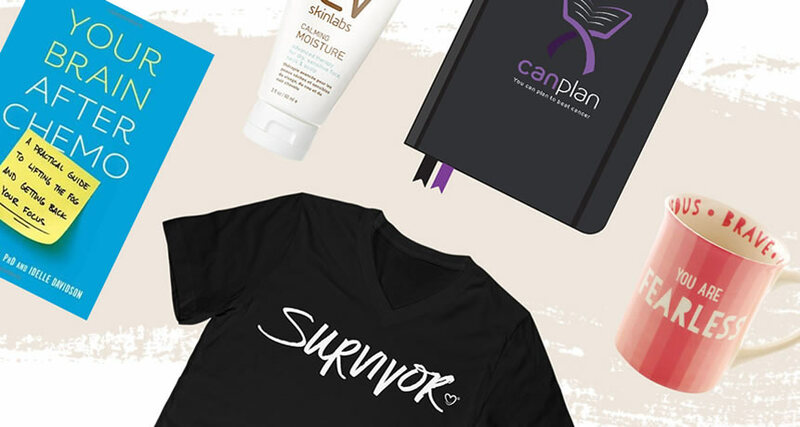 Has social media helped you in your post-cancer life? Tell us in the comments below! Photo courtesy of Luke Porter.